Sent to Auckland Council 13 sec later. 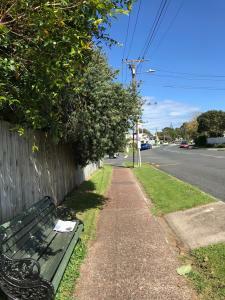 As per the pic this overhanging tree is making it more difficult to walk on this part of the footpath on the Fowlds Avenue part of this property. All fixed, not more walking into branches when walking at night.